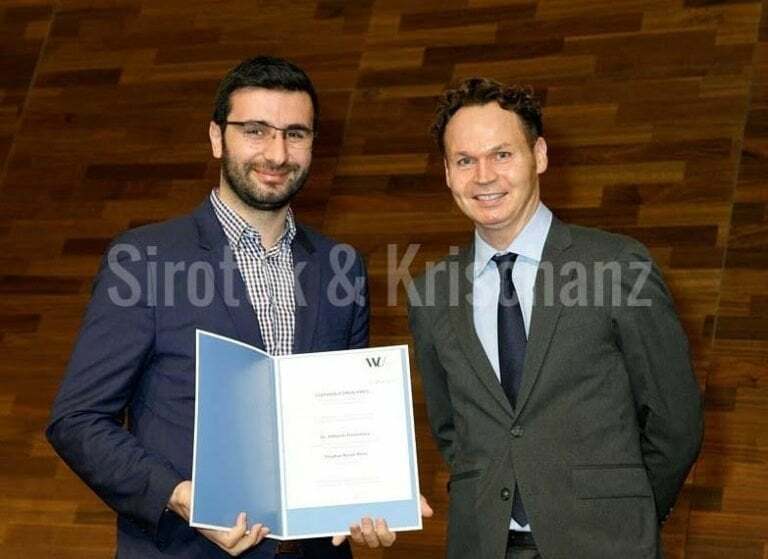 The UBT lecturer Adhurim Haxhmusa is the first Albanian to be awarded with the prize “Stephen Koren”, from the Association of Professors at the University of Business and Economy in Vienna. The prize has been given due to the high quality of his doctoral thesis on the topic: “Network Industry Regulation”. As a young scientist, he was credited with making a great academic contribution in the field of economics. His paper has been chosen as the best one for 2018, based on the dissertation of the course of study that he has followed. The prize “Stephan Koren” is annually awarded by the University of Vienna, aiming to motivate young scientists or doctoral candidates who, by completing their doctoral dissertation or their commitment throughout the year, give contributions in their respective field of studies.